"Shorebird", photo-etched, and riveted. 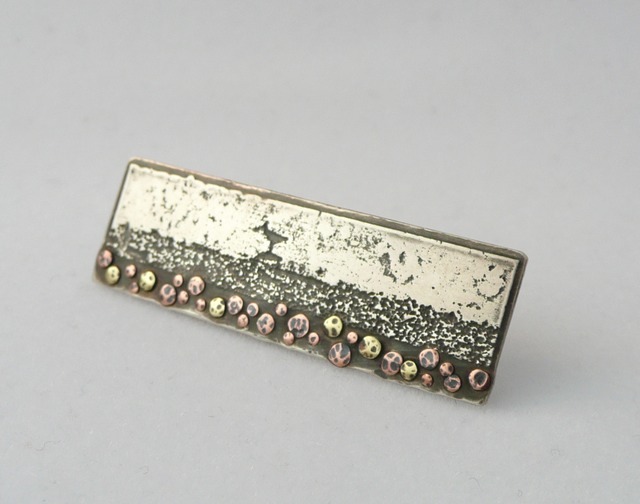 Sterling silver, brass, and copper, .5" x 2", 2012. Sold.